Tre små svenska trästäder som profilerar sig med hjälp av vackra trähus. Innanför fasaden lever stadens invånare. I sorg och glädje. I oro och idyll. Som folk är mest. Genom att låta tre fotografer fritt få förmedla sina intryck vill de tre städerna bidra med ännu ett lager av alla de sanningar som ett samhälle består av. When Lars Tunbjork approaches Beauvais (France-Picardie) he immediately recognizes other places that he has already experienced as an explorer, a situation of every photographer encounters when he discovers a new fragment of the universe. Therefore, he shows us faces – frontally, up-close - , residential areas, companies, and, all around, what remains of nature. Beauvais, in some places, is also a part of the world as it became, as it's becoming. The marching globalization has ended up happening and progressing. The photographer transforms the world through his look which has no objectivity. Both are not incompatible. Here is the proof. Lars Tunbjörk has travelled around Sweden in an attempt to capture the atmosphere of the winter months for people living in Scandinavia. The project started as a means of surviving the dark part of the year. 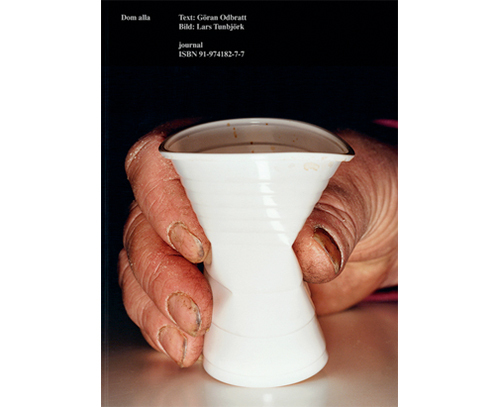 This series of photographs has a different mood, colour range and temperament compared to his previous work, but his style, his understated humour and often absurd subject matter are still unmistakable. ”I Love Borås” is Lars Tunbjörk’s document of an aimless journey around Sweden between 1988 and 1995. Supermarkets, parties, small town streets, amusement parks, gas stations, TV-shows, landscapes, food. During that time Tunbjörk was working on his series Landet utom sig / Country Beside Itself, but these images were not used in that series because they didn’t fit, they were too ugly, too beautiful or too silly. Together they show a darker and more hysteric view of modern western society and Sweden during the economic recession of the early nineties. After his earlier series on leisure time and the world of office labor, Lars Tunbjörk returned to his childhood neighborhood to photograph his mother's house. The experience intrigued him, and he continued shooting in similar areas around Sweden. Saturated with other people's personal memories, his photographs convey the peculiar atmosphere of silence familiar in middle-class housing districts, not only in Sweden but in other countries as well. Författaren Göran Odbratt och fotografen Lars Tunbjörk har gjort upprepade besök i några svenska kommuner. De har besökt socialkontor och verksamheter med uppgift att stödja människors möjligheter till ett gott liv i samhällsgemenskapen. Lars Tunbjörk porträtterar några av alla dem de mött under resans gång. Och med sin omisskännliga blick betraktar han det allmänna Sveriges institutioner och uterum. Han förenar en socialantropologisk och konstnärlig hållning. Offices in New York, Tokyo, Stockholm, are the place of a life that people lose while earning it, they are unbearable. 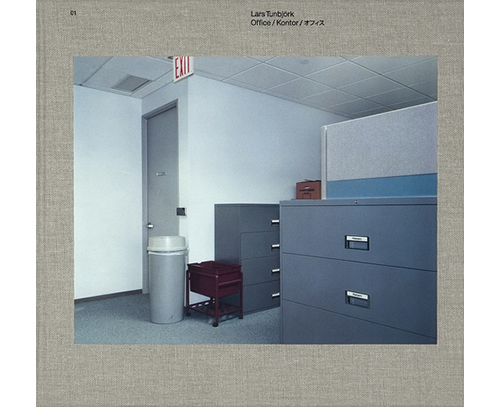 Nightmares made of electric cables, depressing cafeterias, fake spaces, absurd tidy up, they become through the eye of Lars Tunbjork the most radical call for rebellion for a renewed ”right to laziness”. This work, which with”Home”, constitutes discreetly and without obvious agressivity the most implacable critic of our system, a work extremely political under a perfectly acceptable cover, is only possible with a perfect control of color, which becomes the material of the picture. 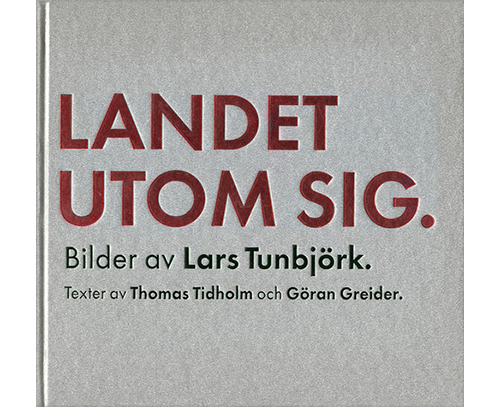 Text by Thomas Tidholm and Göran Greider. Lars Tunbjörk's photographs present a picture of Sweden rarely seen, displaying his ability to capture the detail and color in the odd situations and comedy unnoticed by most.. 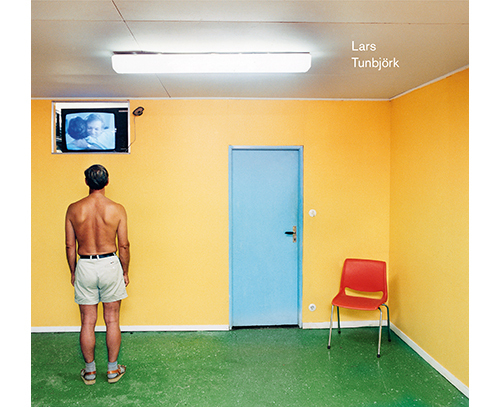 This book came to be lars Tunbjörk big breakthrough. En betraktelse över Paris 200 år efter revolutionen. 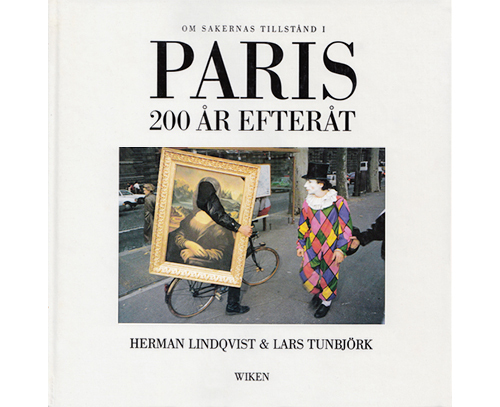 Herman Lindqvist och Lars Tunbjörk har spanat in Paris. På varje gata, i varje byggnad, på varje plats laddad med händelser, öden, har de två gjort sina efterforskningar. The work of the young Swedish press photographer and photojuornalist Lars Tunbjörk spans wide range, although society´s extremes are not in the main what he seeks to capture with his camera, but the ordinary people at its heart, whether i New York, Moscow, Liverpool or Stockholm. Here, he works, recording spontaneous and often humorous situtions that speak of an attitude of humility and tolerance towards human beings and the life that surrounds us.